As a Canadian and beauty lover, Shoppers Drug Mart has always been a place I visit on a regular basis. It could be anything from picking up my staple products, running in to get some emergency makeup wipes or checking out all of the latest and greatest in the Beauty Boutique. 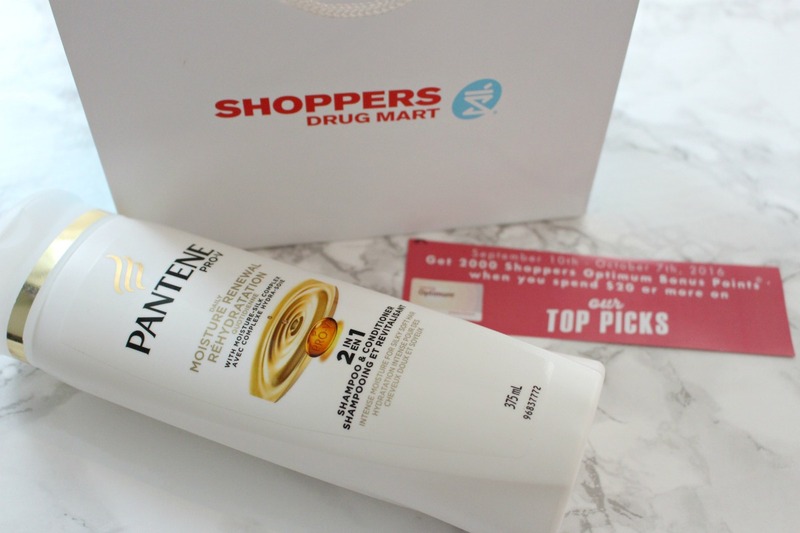 When Shoppers Drug Mart released their Top Picks, a list of must try products from head to toe, I knew I could trust it and had to try. 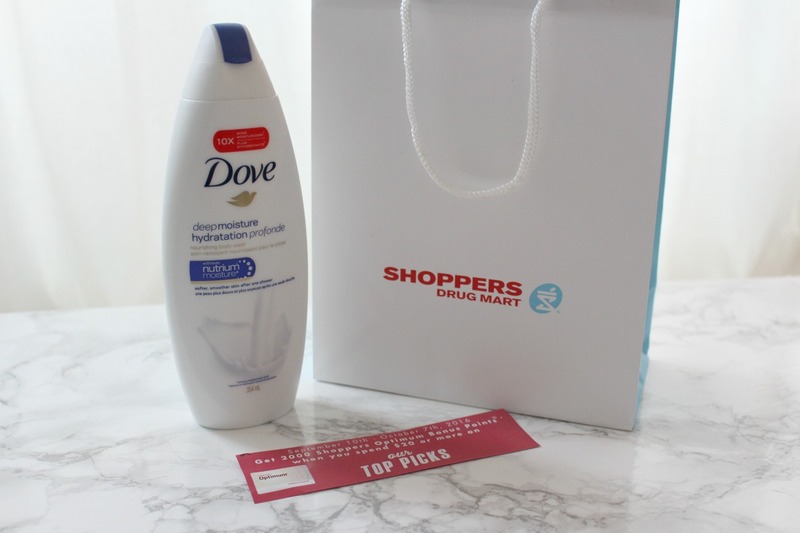 I am so excited to partner with Shoppers Drug Mart to show you their Top Picks including some hidden gems, best sellers and new finds! Not only are their Top Picks products that every girl should have on hand, it is a great time to collect some Bonus Shoppers Optimum Points! 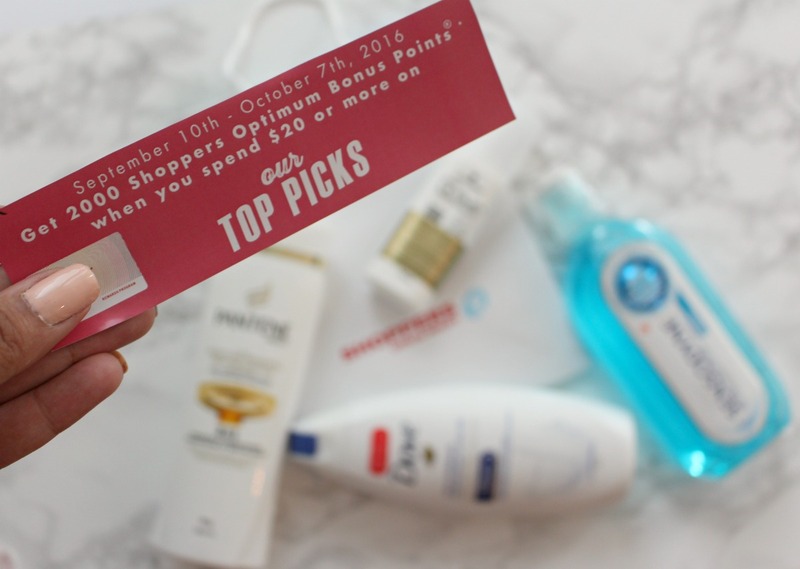 If you visit Shoppers Drug Mart prior to October 7th you can earn Bonus Optimum Points on everything on the #SDMTopPicks list. I was super excited to head to the Yorkdale Mall here in Toronto to check out the Vanity Memory Game. There was a chance to win a dream vanity valued at $5,000 and a prize pack valued at $425 that included the Shoppers Drug Mart Top Picks to fill that gorgeous vanity. The team was dressed in adorable Shoppers Drug Mart robes and the vanities were stocked with all the Top Picks. I wish I could have transported it all back to my apartment, so chic! If you were unable to attend one of the interactive mall events all is not lost, you can still stock your vanity with Shoppers Drug Mart’s Top Picks and collect Bonus Optimum Points. Also, if you haven’t downloaded the Shoppers Drug Mart app I highly recommend. As someone who constantly forgets my card and loses out on points, this has been a lifesaver. Not only does it act as my card, but it has offers I can easily load to gain bonus points. 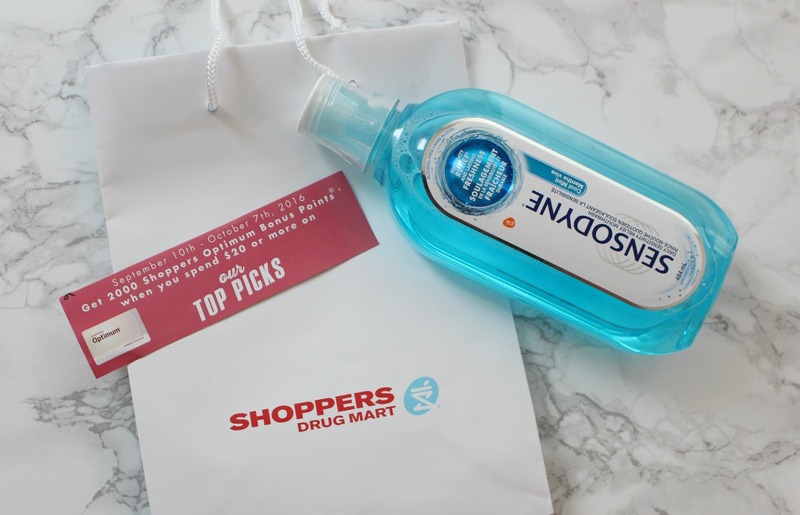 My vanity is so well stocked and my personal hygiene routine has been revamped with Shoppers Drug Mart Top Picks. If you are curious to see what others have picked up, search “#SDMTopPicks” on Instagram, Twitter or Facebook. It’s so easy to get into a rut with your products, but that first shower after grabbing a new shampoo or body wash is so delightful! Hidden Gem: Schwarzkopf essence Ultîme Omega Repair 11 in 1 Leave In. - Get 2,000 Shoppers Optimum bonus points when you purchase any 2 participating Schwarzkopf essence Ultîme Omega Repair products. I totally agree that this is a hidden gem, I had never tried this before but I am really enjoying it. I have incredibly dry, curly and overworked hair. I’m always looking for products to include into my routine that will add moisture and life into my hair. This claims to have 11 benefits like frizz control, blow dry protection and bounce. It contains omega oil, hydrolyzed pearl and sea salt. I generally stay away from products with sea salt but it is the last ingredient so I don’t find it drying. - Get 500 Shoppers Optimum Bonus Points when you purchase a Sensodyne Cool Mint or Fresh Mint Mouthwash. As someone who has always had incredibly sensitive teeth, I am very familiar with Sensodyne but I hadn’t tried their new mouthwash. I’ve always enjoyed Sensodyne products, and truly see a difference in my teeth’s sensitivity when using them. The Cool Mint Mouthwash has just enough kick to leave you feeling fresh but at the same time it’s not too harsh. It claims to be formulated to relieve sensitive teeth when used twice daily, along with strengthening teeth and fighting cavities with fluoride. - Get 1,000 Shoppers Optimum Bonus Points when you purchase 2 Dove Deep Moisture Nourishing Body Washes. I think I am a top contender to be one of the people who made Dove Body Wash a Top Seller. I have been using this for years! I love that it comes in such a wide variety of scents; I like to mix it up from month to month. It is moisturizing, but not greasy and has a great lather. These are also quite gentle so I think they would also work great for sensitive skin. - Get 1,500 Shoppers Optimum Bonus Points when you purchase any 2 participating Pantene Pro-V Daily Moisture Renewal hair care products. I picked this up for my boyfriend, but I ended up using this for myself too. It is super convenient to use. As mentioned, my hair is dry so I will generally follow up with a conditioner. It claims to repair damage, and make hair more soft and manageable. The scent of Pantene totally brings me back to high school, so much nostalgia! You have plenty of time to visit Shoppers Drug Mart by October 7th, 2016 and earn Bonus Optimum Points on their Top Picks including hidden gems, top sellers and new finds. See the total list of top picks here. Let me know what you end up purchasing below! 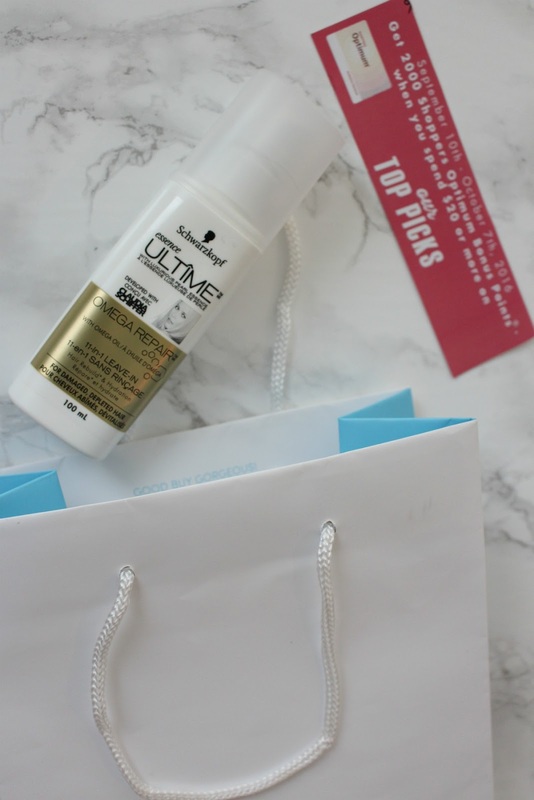 This blog post was sponsored by Shoppers Drug Mart Top Picks but the opinions are all my own.